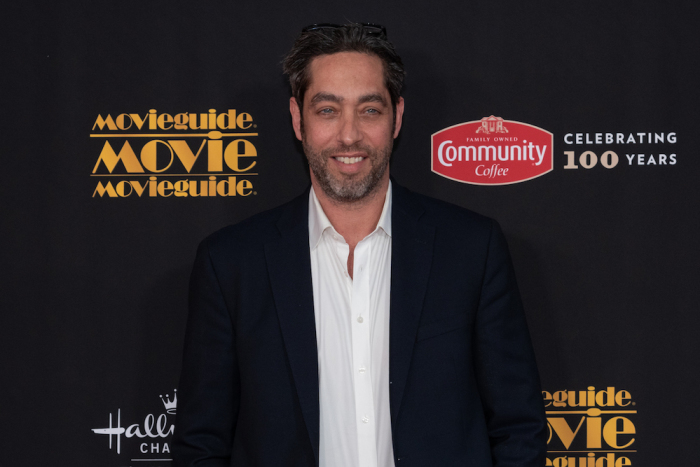 ANAHEIM, California — Actor Nick Loeb, director of the upcoming film "Roe v. Wade," revealed why he went from being a pro-choice advocate who supported two abortions in past relationships to a vocal defender of the unborn. “I grew up in the '80s and early '90s, and I was taught that when I woman gets pregnant, it’s just a bunch of cells; there’s no life there, it’s not a baby until it can kick,” Loeb recalled in an interview with The Christian Post where he admitted to sometimes dreaming of the unborn children he fathered. But Loeb said he wasn’t yet truly pro-life and adopted the mantra, “I am pro-life for me, but it's OK for you to be pro-choice and make your own decisions.” That changed when a friend began challenging him on his beliefs. Starring Jon Voight, Robert Davi, Corbin Bernsen, John Schneider and Stacey Dash, “Roe v. Wade” tells the true story of how Norma McCorvey, commonly known as Jane Roe, was persuaded by lies and manipulation to sue the government for the right to have an abortion, according to the film synopsis. The script, co-written by Loeb, was developed from actual court records to share the truth behind the case that has allowed the killing of more than 60 million children in the United States. The film will be released in theaters nationwide in the fall of 2019. Loeb told CP that many people are pro-choice because Hollywood has glamorized abortion and reinforced the myth that life doesn’t begin at conception. He pointed out that while the pro-life camp does an excellent job with fundraisers, galas and other events, it has done a poor job of tackling pop culture. He explained: “Planned Parenthood has been incredible with getting celebrities on board. The Kardashians did an entire episode where Planned Parenthood spent $30 million bringing them to a clinic, showing about wellness and talking about their services. They've been great at getting their theme into movies and pop culture today." “You want to affect change in America today, you have to go to pop culture; you have to spend the money,” he said. The film has already experienced pushback. During an interview with Fox News last March, Loeb revealed that Facebook had blocked their efforts to promote the film. In another interview, he said that some actors even walked off the set and quit after finding out it would have a pro-life perspective. Still, Loeb told CP he’s optimistic and hopes the film leads to the overturning of Roe v. Wade and educates the public on the devastating reality of abortion. To help support the movie or for more information, visit "Roe v. Wade" movie.com.